Home » Croatia » Dóber Dán From Zagreb! Zagreb, the capital of Croatia, and blogger friend Paula’s hometown, was meant to be just a transit point en-route to the Dalmatian coast. But it turned out to be far lovelier than we expected. While we were deeply disappointed that we couldn’t meet Paula in person, she was with us in spirit as we explored her beautiful city, thanks to the wealth of information she had mailed me beforehand. Cannot thank you enough dear Paula! 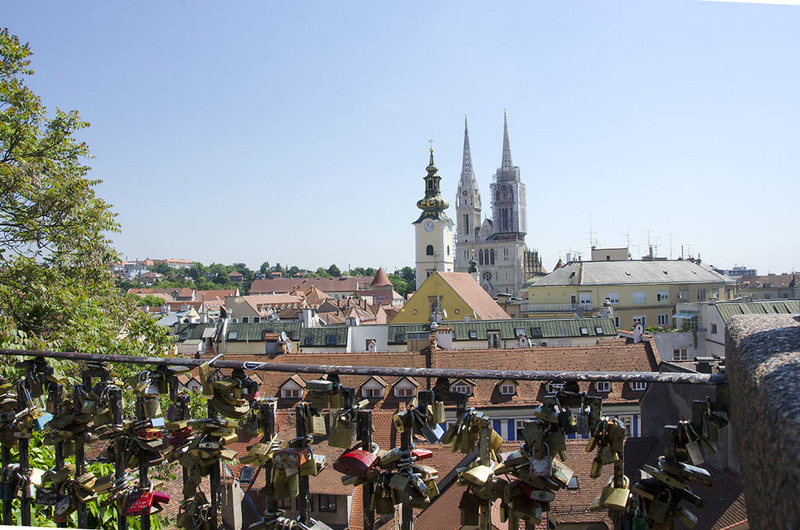 The old town of Zagreb comprises two distinct sections, bisected by Ilica, its main thoroughfare. 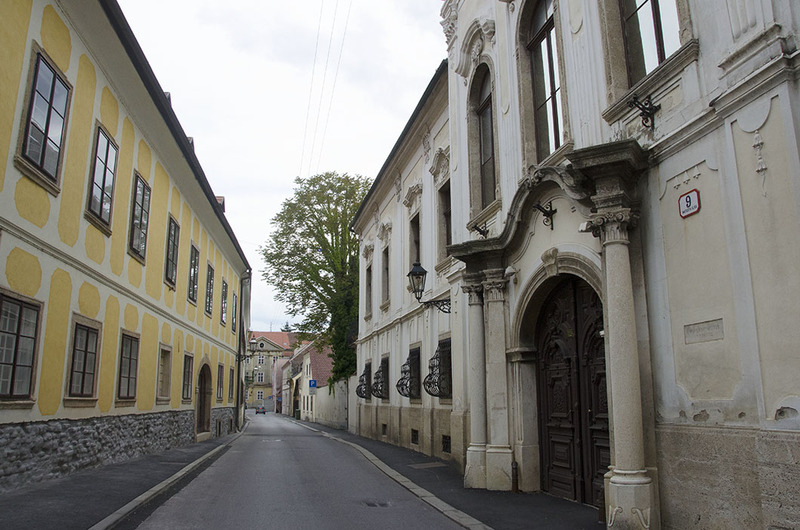 The older, Gornji Grad (upper town), consisting of the formerly warring Kaptol and Gradec, is the religious and administrative quarter. 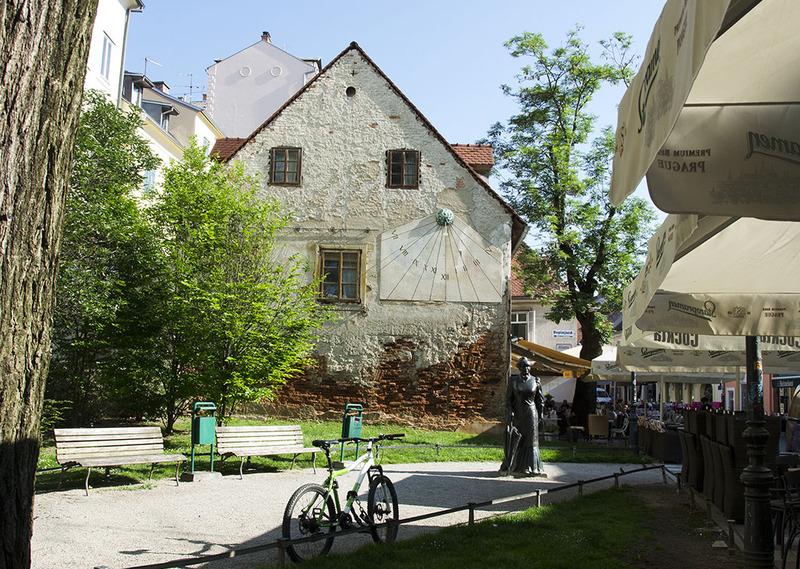 Donji Grad (lower town), with its host of impressive museums and theatres arrayed around a U shaped green space – called the Lenuci Horseshoe, after its urban designer – forms the cultural hub. The upper and lower towns converge at the main square: Trg bana Jelačića, and are linked by steep stairways and a funicular: ‘the shortest and steepest in the world’. 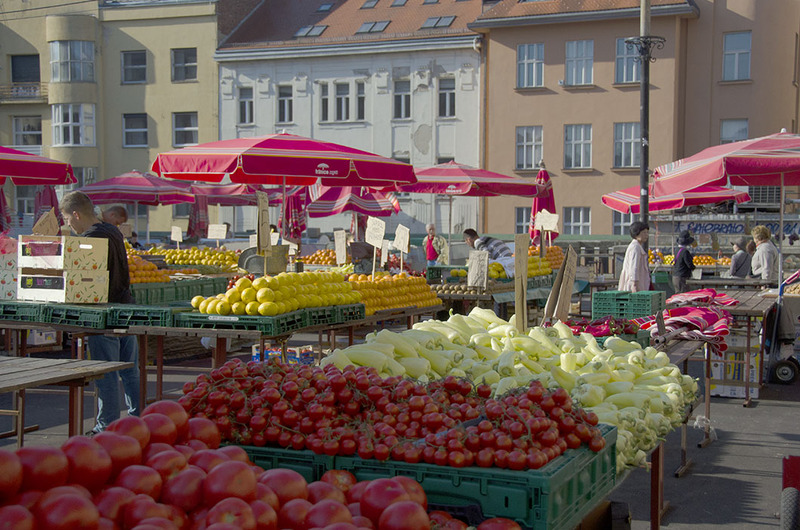 The square between the Cathedral and Trg bana Jelačića, transforms into a fabulous market with the freshest produce each morning. There’s quirky street art that we hope to get to in the few hours we (might) have on our way back. And what’s not to like about a neoclassical train station and an Art-Deco hotel that once featured on the Orient Express itinerary? 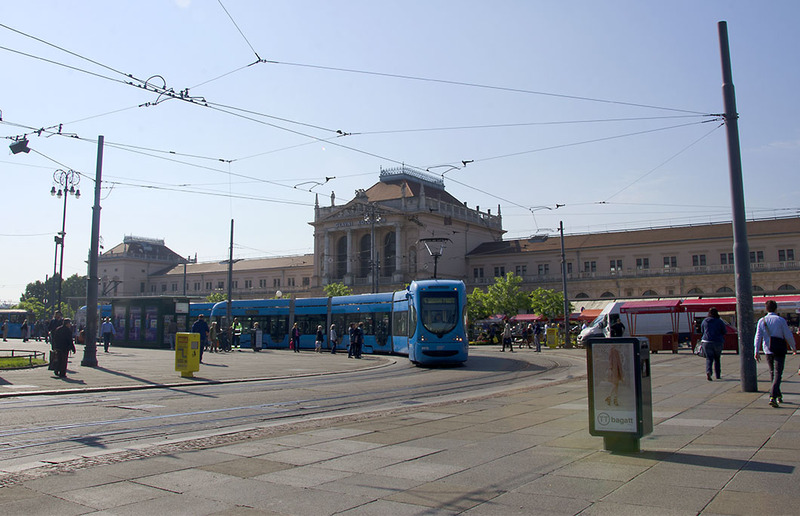 Or blue trams crisscrossing wide boulevards flanked by nineteenth century edifices? We regret not having allowed more time for this vastly underrated Balkan city. Vojković Palace, now the Croatian History Museum. 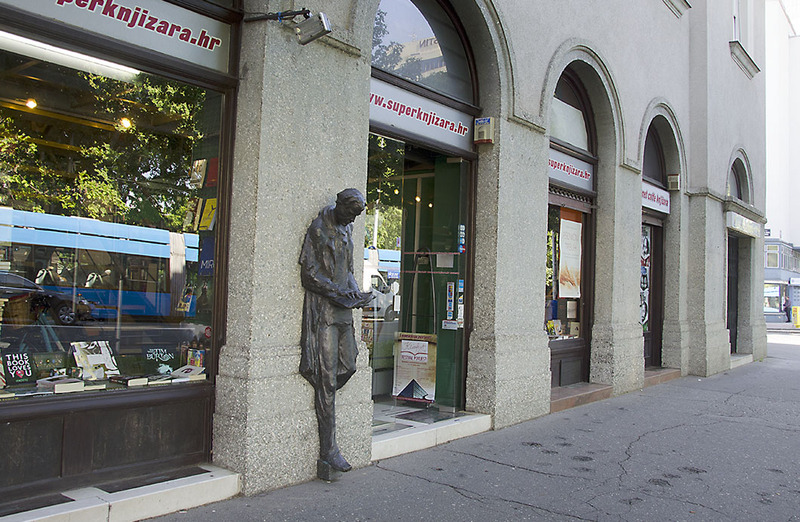 Statue of Marija Jurić Zagorka. and the 1955 sun dial on the popular Tkalciceva street. 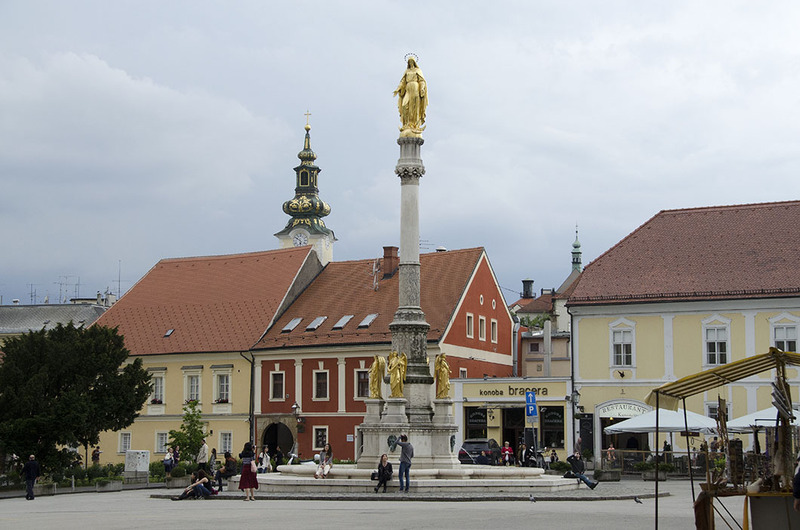 Herman Bolle’s fountain topped by a golden statue of the Blessed Virgin on Kaptol Square, outside the Cathedral. 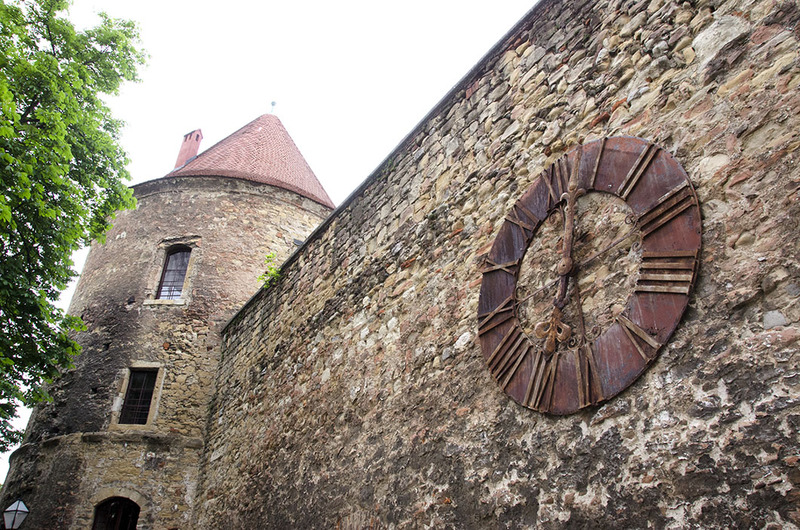 The dial of the old cathedral clock mounted on the defensive renaissance wall is frozen at 7.03 hrs: the exact time of the 1880 earthquake that damaged the Cathedral. Glavni Kolodvor – the Zagreb Central Station. 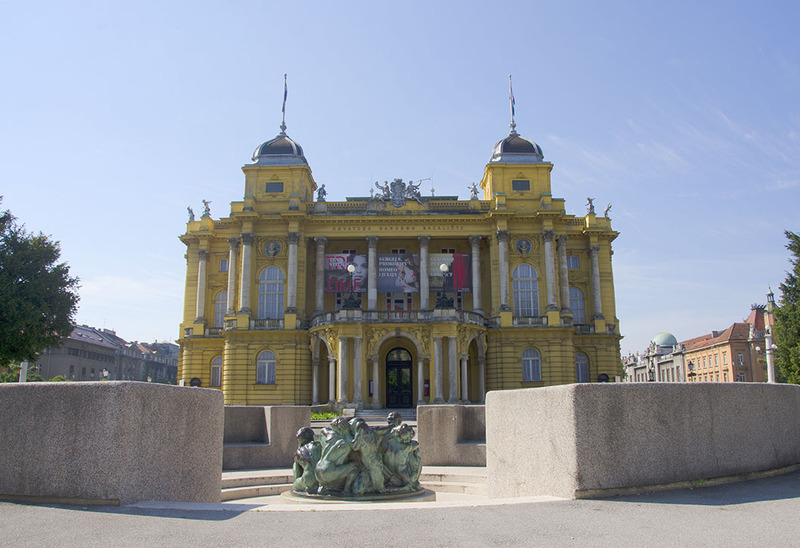 The Croatian National Theatre and Ivan Meštrović’s ‘Source of Life’ fountain. Beautiful collection of photographs. Zagreb seems like such an underrated destination (good in a way) despite having so much lovely views and history. That statue of the mam reading the book is interesting. Perfect venue for it. I loved this post and your photos, Madhu. My son and his family live in this city. I wish I had been there to have tea with you and a slice of cake at Vincek. Oh that would have been lovely. How great you were right near Vincek! Mmmmm. Definitely a “must do”! Good to hear from you Madhu. As someone who was born in Semarang on the island of Java, also a city divided into upper and lower parts, I have a feeling that I would enjoy Zagreb as much as you did. But now I know I should spend a considerable amount of time exploring its charming streets and edifices. I’m not sure about those love locks, though. 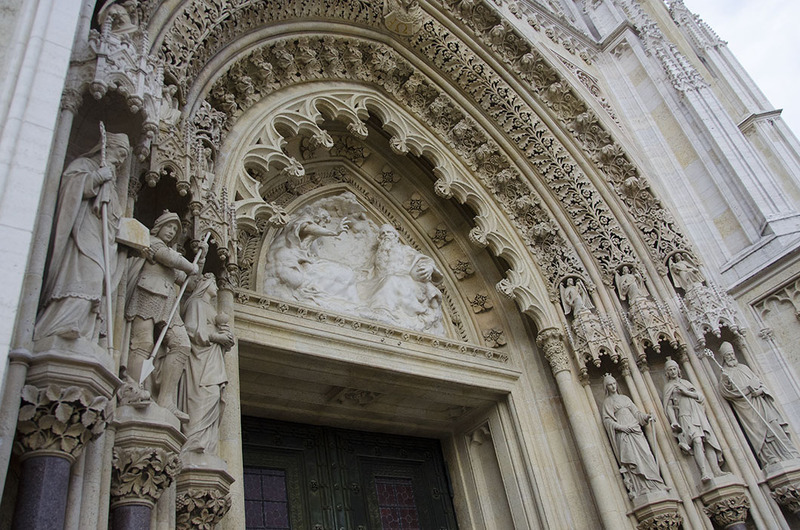 We made the mistake of zipping right through Zagreb, giving it short shrift on our Croatian trip. I’ve since heard so many good things and plan to see much more next time I’m in that part of the world … thanks for the quick preview! I’ve only recently wondered about visiting Croatia Madhu, so it’s wonderful to see it through your eyes. Is this a recent trip? This has whet my appetite Madhu. It looks like a lovely city, and now you’ve made me curious. Eastern Europe is on our radar, probably for summer of next year. I’ll make sure Croatia is included. Boy you are everywhere, eh! Lovely shots and words, Madhu. I was in Yugoslavia when it was still Yugoslavia. Always wanted to get down to those old walled cities on the coast, never did. YOu’ve brought back memories of that desire…. That’s lovely! I’m sorry I missed visiting there in my travels. The problem is that Europe has such big amazing cities ie Rome, Madrid, Prague, London, Budapest etc that these smaller cities just get overlooked not due to lack of beauty but more due to lack of time. Zagreb has a population of 1 mill with surrounding outskirts and has amazing day trip options ie Rastoke, Plitvice, Varazdin, Trakoscan and Veliki Tabor castle. Google them and make sure to visit. 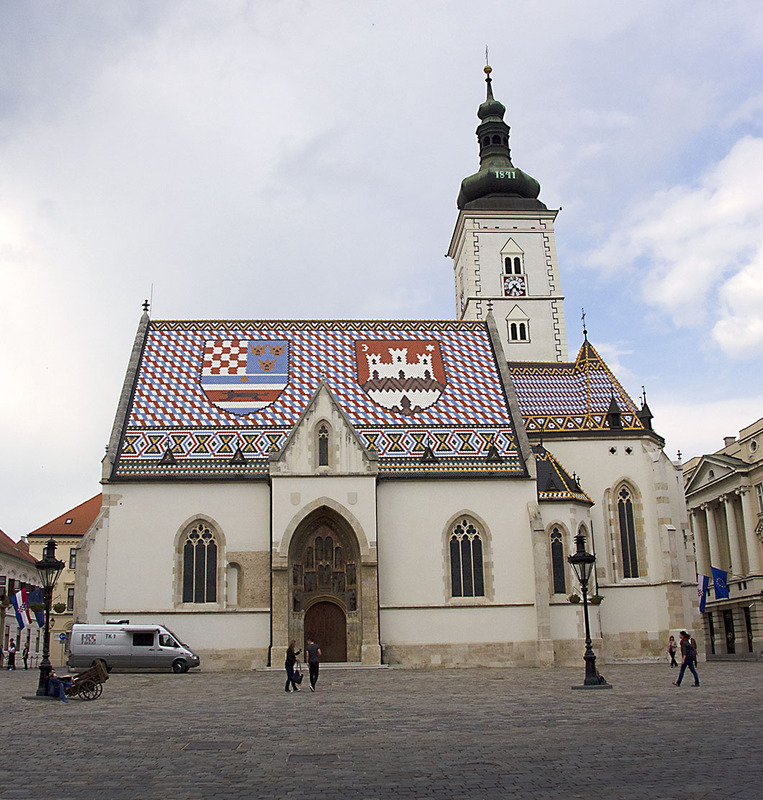 If Zagreb was in North America or Australia or even South America rather than Europe it would be a tourist hit.Croatia also has so much too see so that makes choosing where to go even harder. I have been many times from Australia and have said you need at least three weeks to experience this beautiful country. AND it has trams! 🙂 🙂 Zagreb wasn’t high on my list either, Madhu. Paula doesn’t blow it’s trumpet much, does she? 🙂 The area around Kotor appeals to me and I’ve always wanted to do Split and some of the islands. I expect I’ll see some of them on here. Happy travels! Wow, the roof on St. Mark’s church is lovely! Excellent photos! with you, oh may be through you, we travel. I also travel a little but my angles and perspective never deliver such great photos as yours. Thank you. This is beautiful Madhu. You have covered a lot in such a short timeslot. I wish I could have done more. Sending hugs and “dobar dan” tebi. What a gorgeous city, Madhu. 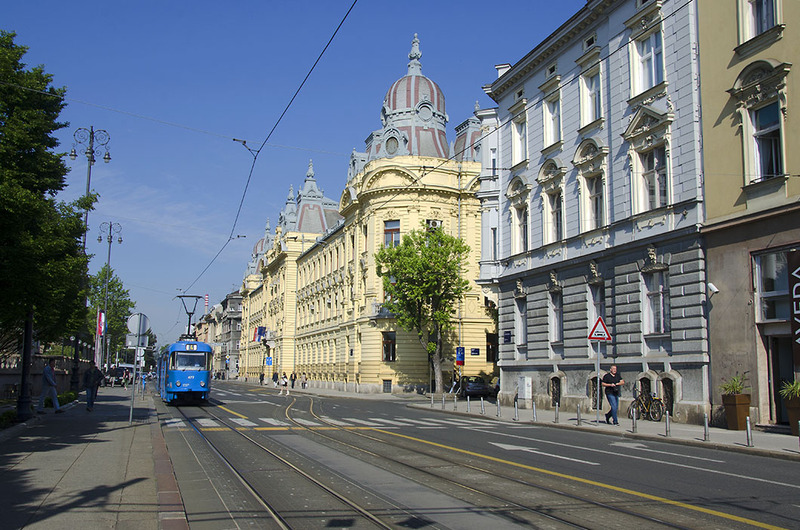 Zagreb does seem a bit under the radar compared to the cities on the coast – its elegant avenues lined with neoclassical buildings and those wonderful trams, along with the medieval cathedral and upper town are just begging to be explored. I shall have to budget in a few days there when I make it to Croatia! A wonderful visit Madhu and such a shame you and Paula didn’t meet up. I can almost feel her presence here in your photos. Next time!